The world of international relations and law is constantly changing. There is a risk of the systematic undermining of international organisations and law over the next years. Feminist approaches to international law will need to adapt accordingly, to ensure that they continue to challenge inequalities, and serve as an important and critical voice in international law. 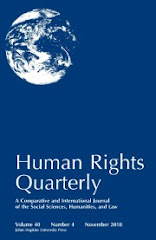 This article seeks to tell the story of feminist perspectives on international law from the early 1990s till today through a discussion between three generations of feminist international legal scholars: Hilary Charlesworth, who, with her colleagues, contributed to the area in the immediate post-Cold War years, Gina Heathcote, who over the past decade has published extensively on feminist perspectives on the use of force and collective security, and Emily Jones, an early career scholar working on feminist approaches to international law. 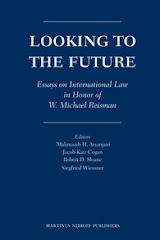 The conversation, which began as a Skype discussion, considers both the ways in which feminist approaches to international law have changed over the past two decades, as well as the ways in which they have been shaped by global politics, before turning to consider the future for feminist approaches to international law. The impact of feminist approaches to international law has been considerable. However, it seems that feminist approaches still lack legitimacy and credibility in many mainstream circles, remaining on the disciplinary periphery. 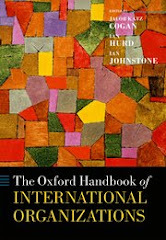 Charlesworth, Heathcote and Jones discuss potential ways in which to manage some of these tensions, noting both the importance of ‘speaking to ourselves’ (Charlesworth in Feminist perspectives on contemporary International Law: Between resistance and compliance? Hart, Oxford, pp. 17–32, 2011) as a creative and nurturing space, as well as the need to be seen as a more credible voice in the mainstream. They note the need, too, for further feminist work beyond the realms of sexual violence and women’s representation. While the great amount of work in this area is, indeed, foundational, having achieved many important legal and political outcomes, feminist approaches should now develop beyond these areas. Doing so will not only propel this area of scholarship in new and exciting directions, but it might help feminist scholarship gain further traction by avoiding categorisation only under the umbrella of “women’s issues” and thus ready dismissal as just another specialist area of international law in the era of fragmentation.